In stock - low quantity. Order in the next 14 hours, 1 minute and it will go out today! 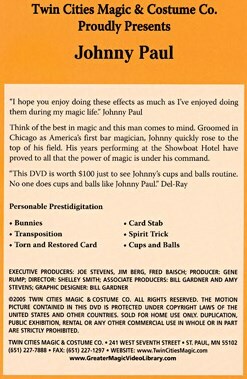 "This DVD is worth $100 just to see Johnny's cups and balls routine. No one does cups and balls like Johnny Paul."